Impression Fine. 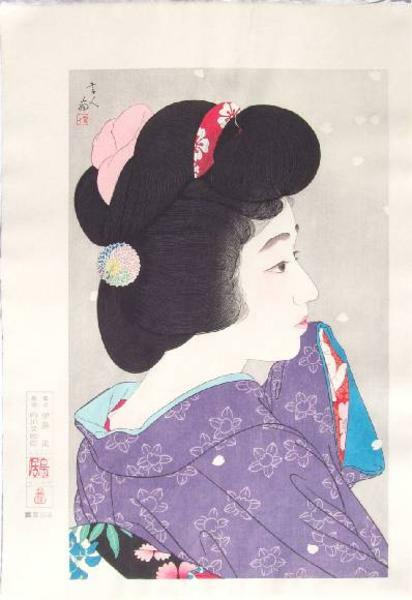 Overprinted hairlines; superb "bokashi" (gradation of colors) shading. Reference/Illus "The Female Image," Plate #180. Blair's 1936 "Toledo Exhibition," Plate #136. Comments Lifetime total 21 images (most 1927-33). Re-strike published as small/immediately sold out edition (100 copies) in the mid-1980's by Ishukankokai Publisher of Tokyo (with red "moneybag" seal).